As the weather starts to cool off and the days get shorter, all I can think about are fall fashion trends. I like to think of this time of year as a fresh start for my style and my closet, with plenty of opportunities to try out new footwear styles, dress in layers, and play with new color palettes. This fall, I'm teaming up with luxury retailer Orchard Mile to share four must-have fashion trends. With an easy-to-navigate site and dozens of covetable brands such as Equipment, Diane von Furstenberg, Suno, Kaelen, and Temperley London, there's no shortage of outfit inspiration and on-trend offerings. Let's take a look at four of Orchard Mile's fall 2016 trends. One glance at my closet and you'll see that floral prints are a favorite of mine. While they may be thought of as a traditionally spring/summer print, I love wearing them all year long. For fall 2016, they get an update in dark, brooding shades of blue, violet, forest green, and crimson. 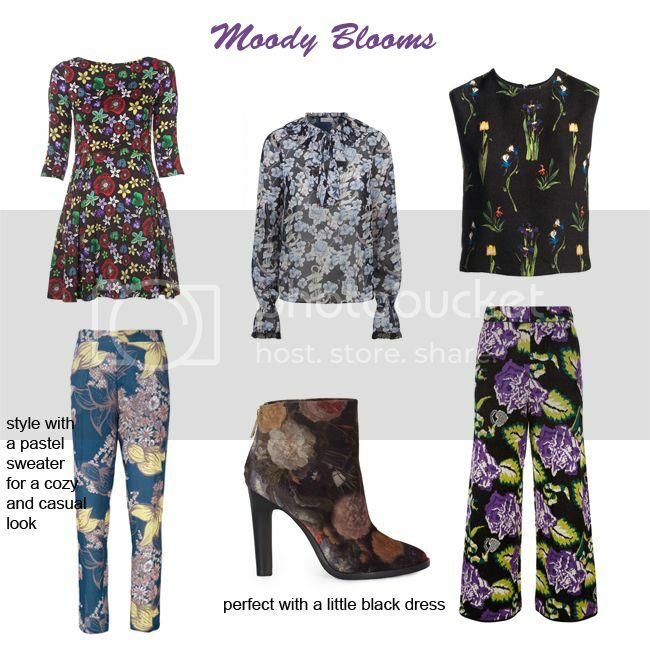 The trick to styling florals for fall is to mix them with darker colors and heavier textures such as suede, velvet, leather, and cable knitwear. For floral runway inspiration, look to Tanya Taylor, Suno, Kaelen, and Giambattista Valli for their modern takes on moody blooms. Below are six of my favorite floral picks via Orchard Mile, especially these statement ankle boots by Joie. Like our busy lives, the sport-to-street movement is showing no signs of slowing down. Consequently, casual looks that transition to beyond the gym are in high demand. With our active, on-the-go lifestyles, we all want to be comfortable in our clothing. A chic and functional backpack by Bill Blass and embellished sneakers by Alice + Olivia make exercise fun and fashionable, plus, they look great for a coffee date, lunch meeting or casual after-work event. All eyes are on the sleeves right now, with bell sleeves, ruffled sleeves, elongated sleeves, and flared wrists stealing the spotlight. 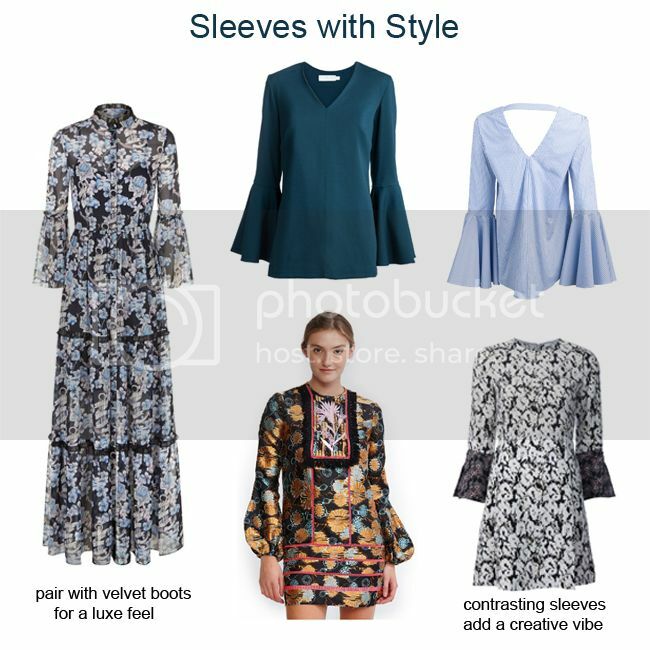 Wearing statement sleeves is an easy way to add drama to your look, and it's perfect if you want to channel a sophisticated, bohemian vibe. The Temperley London dress on the left is the perfect balance of drama and ladylike luxe, plus it pairs well with trend number four. 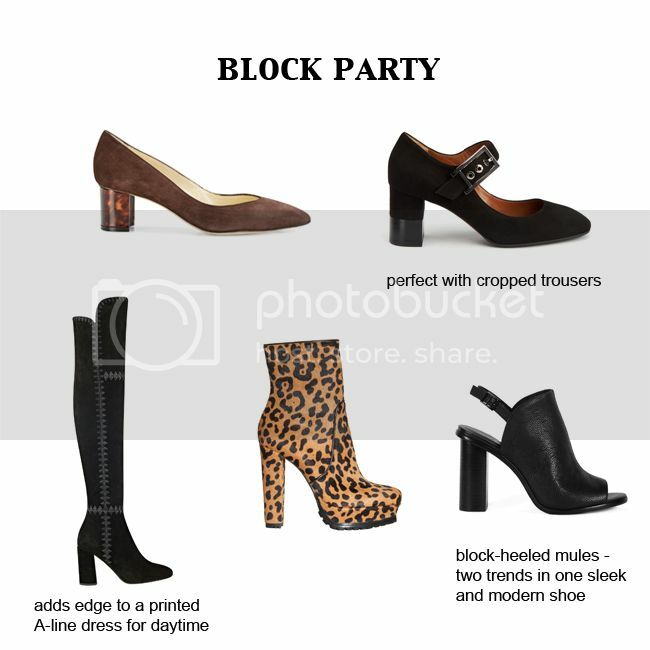 The must-have shoe silhouette for fall is the block heel. I'm a big fan of this wearable trend, especially for ankle boots and lace-up pumps. I called it out in my 2015 footwear trend report and in my 2016 footwear trend report. Whether you choose sleek pumps, Mary Janes (the ones below are by Aquatalia), over-the-knee boots, or edgy ankle boots (like this cheetah print pair by Alice + Olivia), block heels add major height and stability to fall footwear. 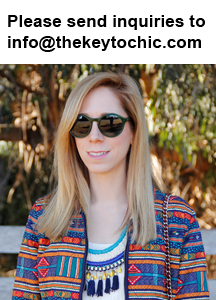 Catch up with my trend-spotting adventures on Snapchat and Instagram @thekeytochic and let me know what you're excited to wear this fall. See of-the-moment trend inspiration and get chic style ideas from Orchard Mile's blog, like this helpful Wear It Now, Wear It Later feature. Thank you to Orchard Mile for collaborating on this trend report.